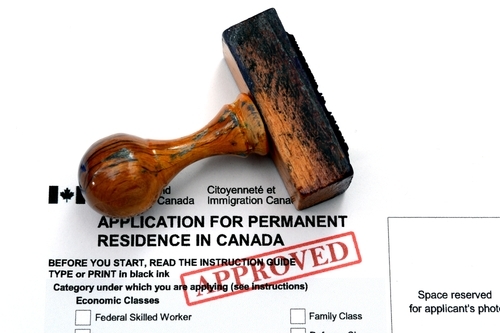 Ontario is currently in the process of reintroducing its record-first Immigration Act. If passed, the Act would help the province to work alongside Ottawa to reap the full economic benefits of immigration. It’s long been recognized that immigrants help contribute towards a stronger economy by boosting growth partly due to their own networks, as well as by forging new global connections. These connections would give Ontario a more competitive edge when it comes to international markets, which is something the province is rooting for. Facilitate the province’s efforts against fraud by reinforcing the integrity of the immigrant selection program and also clarifying its accountability. Towards allowing more transparency and improved information-sharing with Ontario’s immigration partners. Along with the reintroduction of the Act, the province is also set to redesign its Provincial Nominee Program in response to increases expected in the federal government’s allocation of economy-boosting skilled immigrants. These changes and improvements are just part of the government’s plan to help boost Ontario’s economy and make it a better place to live for its citizens and immigrants. The plan is made up of four parts, designed to build up the province by investing in talented and skilled people (including immigrants), along with providing new public infrastructure (such as roads and public transit) and creating a more supportive, dynamic environment for businesses in the province to grow and flourish. Ontario also hopes to build on more secure ways for its residents to save and plan for their eventual retirement. Ontario is still the number one destination for immigrants, and receives more newcomers than all the other provinces and territories to the west combined. Immigration is expected to account for 100 per cent of all the increases in the province’s working-age population, and is predicted to be a main source of labour force growth in the months and years to come. The number of economic immigrants to Canada has reduced to 46 per cent over the past decade, mainly due to federal decisions. The other provinces are said to receive an average of around 65 per cent, as recorded last year (2013). Are you Interested in Immigrating to Ontario? Are you interested in immigrating to Ontario? VisaPlace can help to get the application process started. All you need to do is fill out our free eligibility online assessment form here and then one of our immigration professionals will get back to you with your results within one business day. Additionally, you can contact us here. He worked for Intel before they closed in Philippines. He then ran his own Laundry business and sold it after a few years. He got a Diploma in IT, now he wants to immigrate here in Canada. You think you can help him? As a Canadian, I live and work here in BC and has been here for 20 years.